Amazon.com description: Product Description: Since the first edition of this volume was published in 1976, interest in the problem of intelligence in general and infant intelligence in particuÃÂ­ lar has continued to grow. The response to the first edition was heartenÃÂ­ ing: many readers found it a source of information for the diverse areas of study in infant intelligence. Because of the success of that volume, we have decided to issue a second edition. This edition is in many ways both similar to and different from the first. Its similarity lies in the fact that many of the themes and many of the contributors remain the same. Its difference can be found in the updating of old chapters and the addition of several new ones. Taken together, the chapters present a rounded picture of the cenÃÂ­ tral issues in infant intelligence. Because the aim was to present a picture of the issues, no attempt, other than the selection of authors and themes, can be made to integrate these chapters into a single coherent whole. In large part, this reflects the diversity of study found in the area of early intellectual behavior. Rather than having a comprehensive theoÃÂ­ ry of infant intelligence, the field abounds with a series of critical quesÃÂ­ tions. To unite these chapters into some coherence, it will be necessary to articulate what these issues might be. Five major themes run throughÃÂ­ out the field of infant intelligence and thus through this volume. 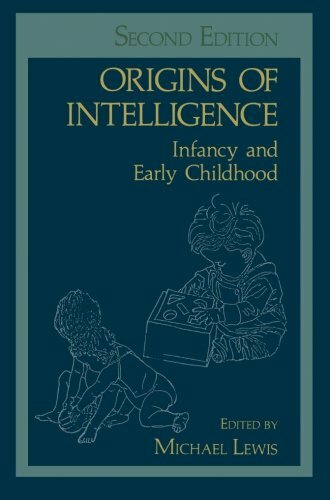 About: Since the first edition of this volume was published in 1976, interest in the problem of intelligence in general and infant intelligence in particuÂ­ lar has continued to grow.